The Glendora Historical Society is proud to be an exhibitor at this year's Archives Bazaar! We hope to see you there! Come and celebrate the diversity of stories that make Southern California such a place of discovery. 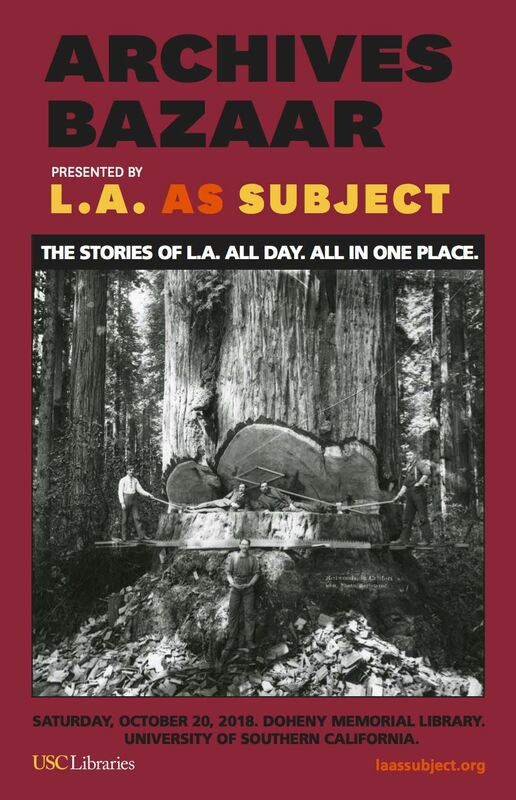 At the Los Angeles Archives Bazaar, presented by L.A. as Subject and the USC Libraries, anyone with an interest in the region’s history will find something of value. A broad array of institutions and archives will have experts on hand to show off their collections and answer questions. In addition to the wealth of information on display from exhibitors, day-long programming will feature preservation workshops and enlightening presentations.